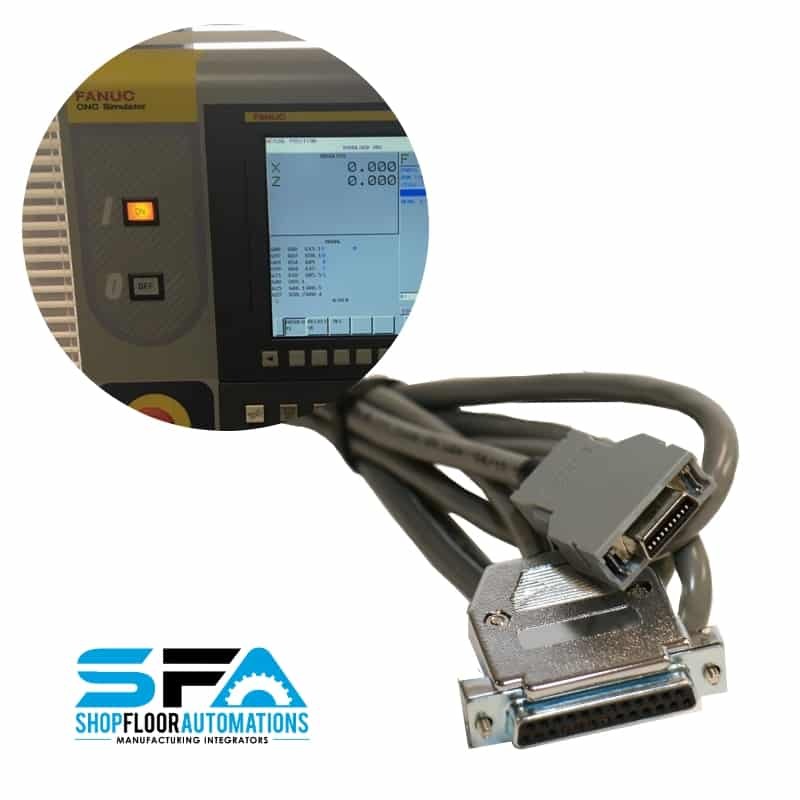 The Fanuc Honda Micro Cable attaches to your FANUC-based CNC machine control and provides full RS232 serial I/O support to the system. 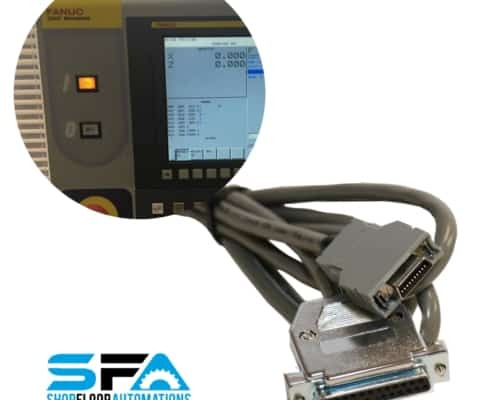 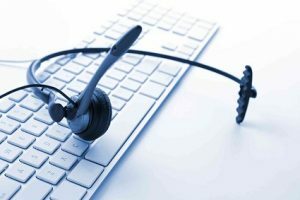 Examples of FANUC-based controls include Mori-Seiki, Doosan, OKK, Toyoda, and FANUC-branded controls. 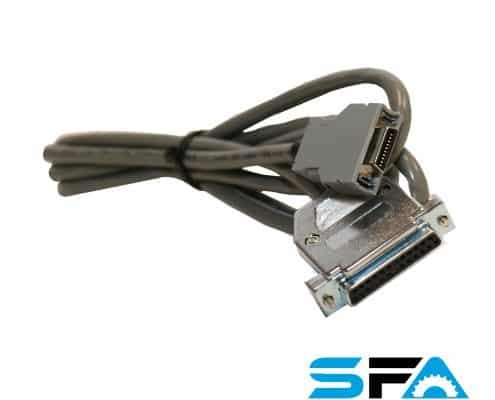 The Honda Micro cable is capable of employing all baud rates and modes of handshaking offered on the machine and forwards the 24v DC power from Pin 25 through to the serial device, so the cable may be used in lieu of a 24v DC power supply. 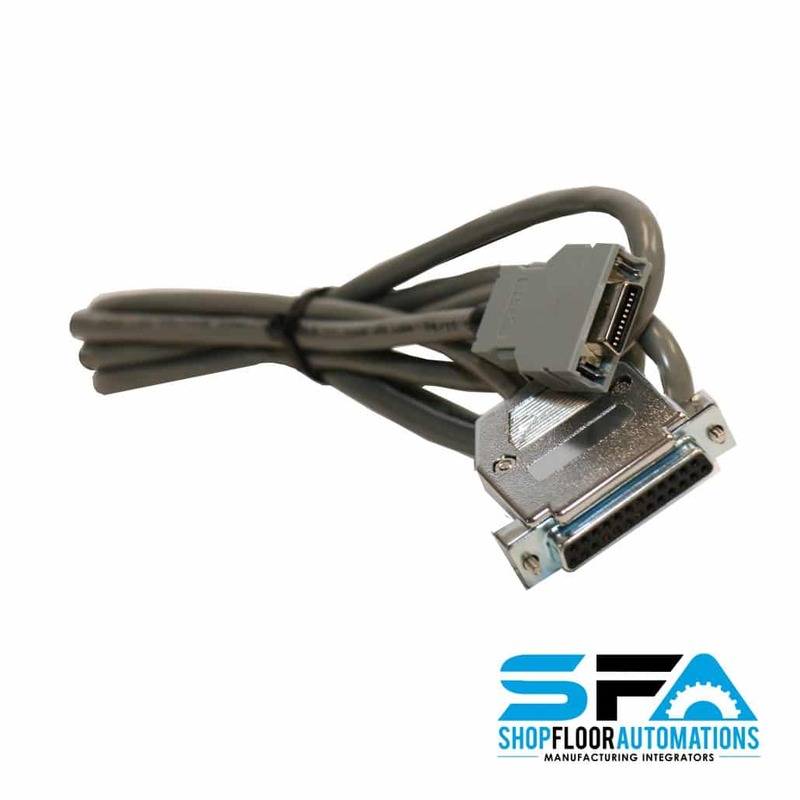 The Honda Micro cable can be connected via the JD5A/JD5B or JD36A/JD36B ports inside your machine control cabinet or inside the control pendant, depending on your CNC.